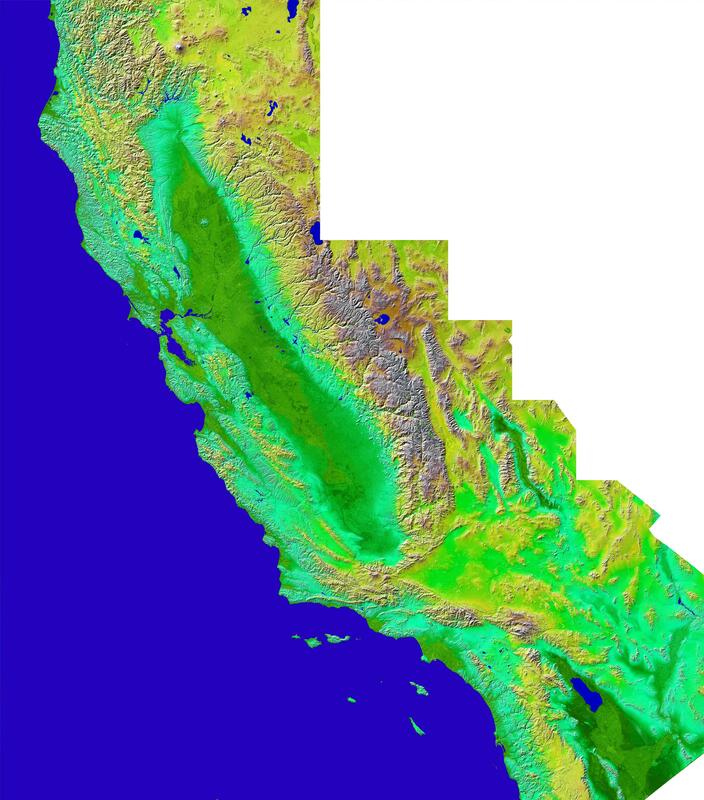 The diversity of landforms that make up the state of California is evident in this new [sic] rendition of the 3-D topography of the state. 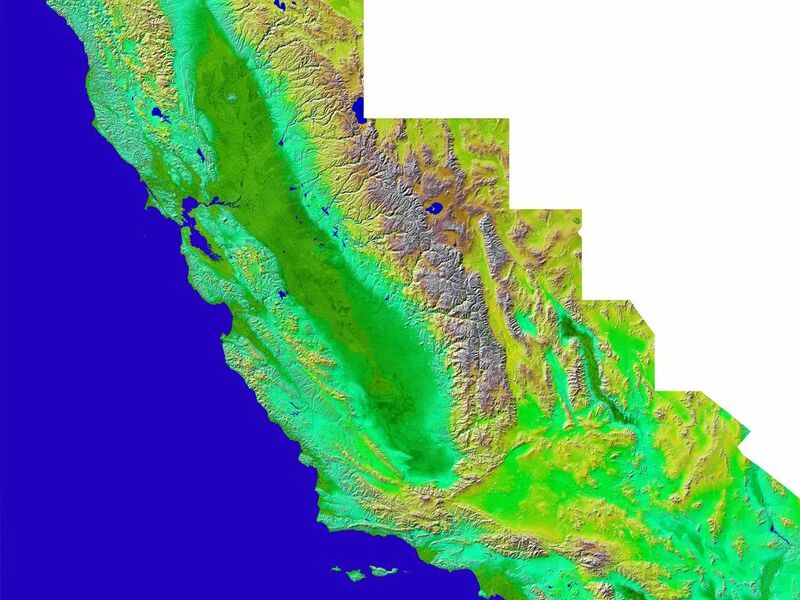 The Central Valley, flanked on the east by the Sierra Nevada, dominates the scene with San Francisco and Monterey Bays clearly visible at left center. 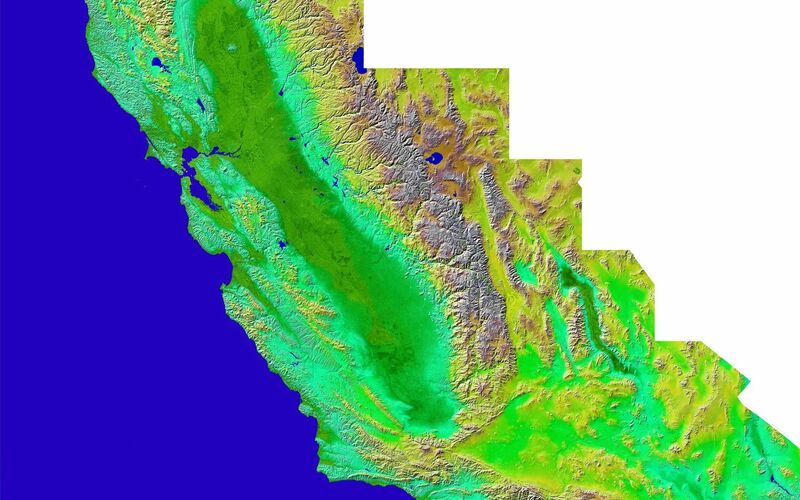 Other features of interest include Lake Tahoe at the edge to the right of San Francisco, Mono Lake below Lake Tahoe, and the Salton Sea at the lower right. 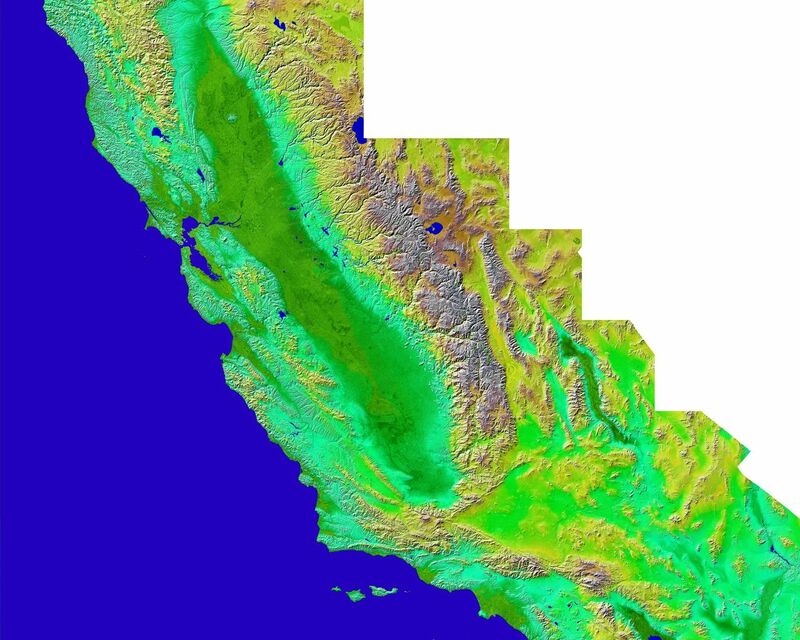 The prominent sideways "V" in the southern part of the state is the intersection of the Garlock and San Andreas Faults - to the east is the Mojave Desert. Offshore are the Channel Islands and to the right of them lies the city of Los Angeles. Elevation data used in this image was acquired by the Shuttle Radar Topography Mission (SRTM) aboard the Space Shuttle Endeavour, launched on February 11, 2000. SRTM used the same radar instrument that comprised the Spaceborne Imaging Radar-C/X-Band Synthetic Aperture Radar (SIR-C/X-SAR) that flew twice on the Space Shuttle Endeavour in 1994. SRTM was designed to collect 3-D measurements of the Earth's surface. To collect the 3-D data, engineers added a 60-meter (approximately 200-foot) mast, installed additional C-band and X-band antennas, and improved tracking and navigation devices. The mission is a cooperative project between NASA, the National Imagery and Mapping Agency (NIMA) of the U.S. Department of Defense, and the German and Italian space agencies. It is managed by NASA's Jet Propulsion Laboratory, Pasadena, Calif., for NASA's Earth Science Enterprise, Washington, D.C. Location: 32.5-42 deg. North lat., 114-125 deg. West lon.